Over the years, CapFi Lending and its loan officers have worked with hundreds of Realtors in Texas. We take pride in our relationships and only recommend the best Realtors to our clients. We understand that our recommendations are highly valued with our clients and that our Realtors partners are a reflection on us. Use one of our preferred Texas Realtors to buy or sell your home and know that they will treat you well! CapFi Lending is accepting local Real Estate Agents to partner with in growing our business. 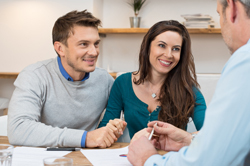 We work with qualified home buyers every day and would like to introduce you to our clients. If you do not currently work with a mortgage company then call us today or send us a message and ask to become one of our preferred Realtors. Contact Kyle Hughes to assist with selling your home or buying a new home in the greater Austin TX, region.